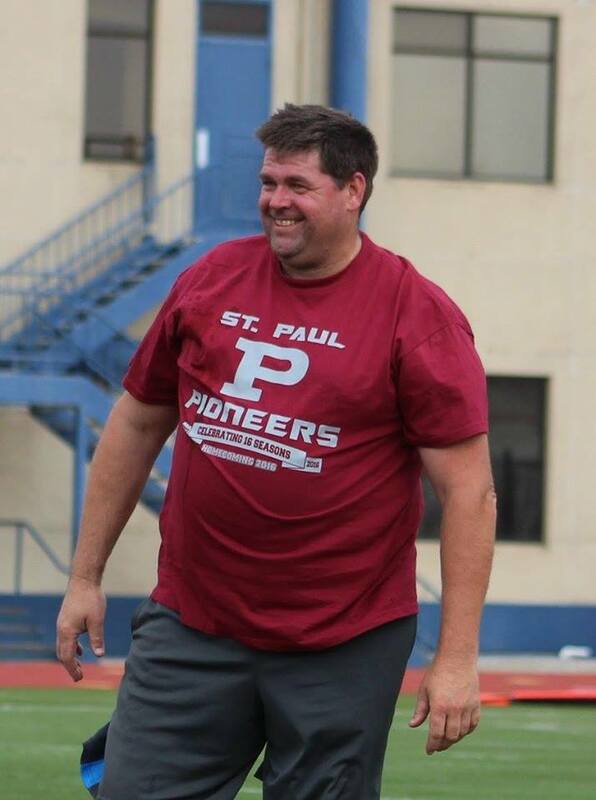 Pioneers tab Hjelm as new offensive line coach Erik Hjelm, an original Pioneer stalwart of the team’s first offensive line, will be St. Paul’s offensive line coach in 2017. A graduate of Roseville’s Alexander Ramsey High School and Anoka Ramsey Community College, Hjelm brings years of playing and coaching experience – and more than a bit of a snarl – to the Pioneers’ staff. Besides playing during the Pioneers inaugural season in 2002, Hjelm also played and coached with the former Oakdale Outlaws. 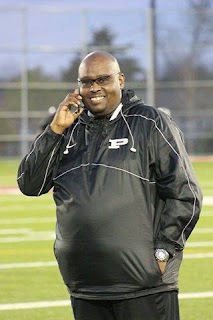 For the past eight years, he has coached in the St. Francis school district and also coached in Roseville. Erik, a master plumber, brings intensity and attention to detail to his weekly work with the Pioneers’ offensive linemen and is tasked with molding several experienced players with a group of promising youngsters. Welcome home, Erik. Former Pioneers owner named general manager One of the most critical cogs in St. Paul Pioneers history is once again taking on a major role with the seven-time champions of the Northern Elite Football League. George “Juice” Hall, a team board member and former owner, has been named general manager for the 2017 season. By elevating Juice to this key role, the Pioneers continue working to strengthen their future by also tightening the ties to their past. Juice began his legacy in local semi-pro football in 1995 as a player in the old Mid-America Football League, winning a title as a member of the Minneapolis Lumberjacks in 2001. He would help start the St. Paul Pioneers in 2002, acting as a player, then sideline manager and, ultimately, team owner in 2008 and 2009. The 2009 squad achieved a longtime dream, winning the North American Football League championshiop with a thrilling come-from-behind victory over the Nashville Storm in Miami, Fla. The next year, the Pioneers reorganized to form a volunteer board of directors and Juice became a key board member for NEFL championship teams in 2010, 2011, 2012, 2013, 2014, 2015 and 2016. During that time, the Pioneers won USA Bowl National Championships after the 2012 and 2014 seasons. In all, Juice has been a part of 17 championship teams and in 2013 was voted to the AFA semi-pro Hall of Fame as an executive. Now, Juice, a medical software IMP analyst, intends to keep the Pioneers building for championships to come. He assumes the GM role from Head Coach Mark Heiser, who will continue leading the Pioneers on the field on game days.